From engineering to mathematics and physics, Soumik Sarkar’s varied experience has given him a strong foundation for building a research program and educating others. As Soumik Sarkar settles into the mechanical engineering department as an assistant professor, he’ll continue to pursue complex systems and data in as many ways as he can. Sarkar initially received his undergraduate degree in mechanical engineering from Jadavpur University in 2006. With an interest in physics, mathematics and research, he went to Penn State, where he earned a master’s degree in mathematics. Sarkar also began to learn more about modeling complex systems. He studied several human-engineered systems and used data analytics and machine learning to predict how the systems will behave. He says the growing size and heterogeneity of system interactions add extra complexities to the study. “It becomes very difficult to know the behavior of a complex system with basic first principle based models. Emergent behavior can occur, causing one small change to set off a chain of events that affects the whole system.” Because of this, Sarkar used smart data analytics to study complex systems to make them safer and more efficient. 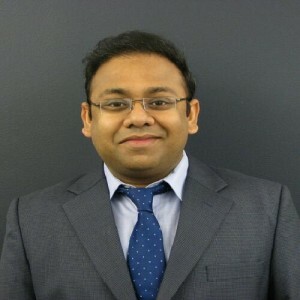 After receiving his Ph.D. at Penn State in mechanical engineering, Sarkar began his career in industry as a senior scientist at the United Technologies Research Center in East Hartford, Connecticut. Sarkar focused his research on analyzing data from complex systems to create more efficiently performing machines that the United Technologies Corporation develops and manufactures, such as gas turbine engines, helicopters and HVAC equipment. Since joining Iowa State, Sarkar has taught a senior-level course on system dynamics and controls. He has also begun two projects focusing on data and system science. The first project is with the Iowa Energy Center to develop smart analytics and control strategies to decrease the amount of energy usage in large commercial buildings. He is collecting data from buildings and using this information to design more energy-efficient building controls. In the future, he looks forward to creating interdisciplinary programs between different departments and universities in order to train students in the critical area of data and system science.